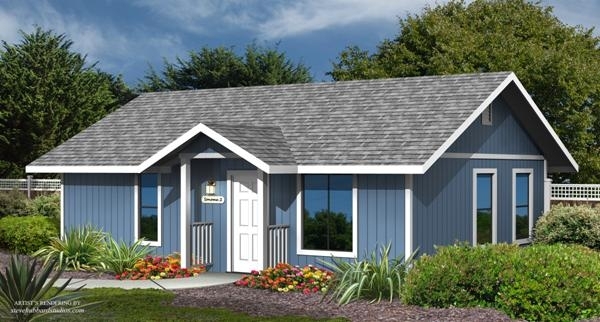 The Sonoma panelized kit home design features a welcoming Living/Dining area with vaulted ceilings, spacious bathroom with two sinks and walk-in shower. 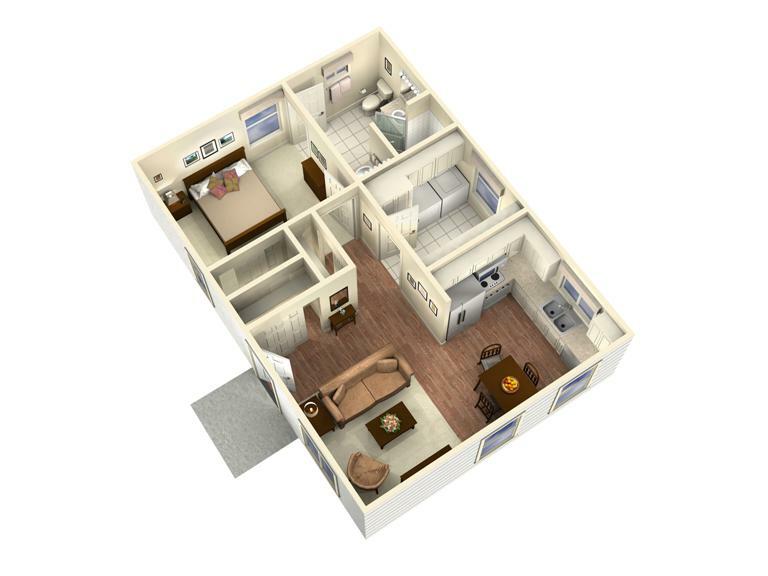 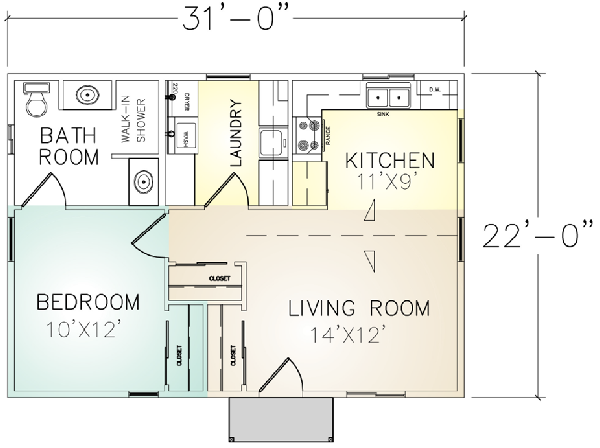 Other popular features include: expansive laundry room with wash tub, ample storage and utility closet. The Sonoma Plan provides extra living space on your existing property for family housing, home office, backyard retreat, or rental income.